Well the time has come where I thought i'd better get back out into the wild places of the world in a Land Rover. I've booked a Defender for November this year with Bushlore, so and me and the missus will be jetting off to South Africa where we'll pick it up and head into Botswana for a couple of weeks. Affectionately known in that part of the world as a "Self Drive Safari", I don't think there can be much more of an iconic place to go on an expedition in a Land Rover. If you give a journey purpose in your own head, then it can be your own expedition. I went to a talk by Alastair Humphreys a few weeks ago and he extolled the belief that more people should go on MicroAdventures, and that most importantly it was more about mindset than anything else. It's a Defender 110 Station Wagon in either Td5 or Puma variety. I can't wait to see what they're like as I have no experience with either of these engines. It'll also be interesting to see how they fair against what i've done with a 300Tdi and how they perform in relation to the common fear of electronics... It's also fully kitted with camping equipment and a roof top tent. I've just bought a Tracks4Africa paper map of Botswana from Stanfords. It has turned out to be a great map. It's made from "PolyArt" which is water proof and tear resistant and is full of great practical information such as camp sites, driving times, 4x4 tracks and typical road conditions. I find the first step in working out what you want to do, in the time you have, is to look at a map and get your bearings. From there you can see which potential routes can achieve what you want them to. 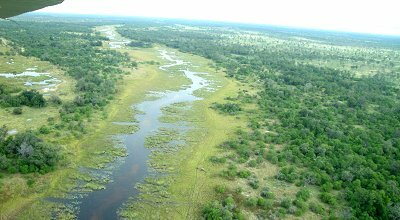 To some extent an itinerary in Botswana has to be quite rigid, as campsites in National Parks require booking months in advance, so there isn't much scope for winging it. Although in contrast, knowing where you have to get to for the night and having what looks like (from the map) a multitude of off road routes to get you there can quite easily give you an adventurous purpose to the day. 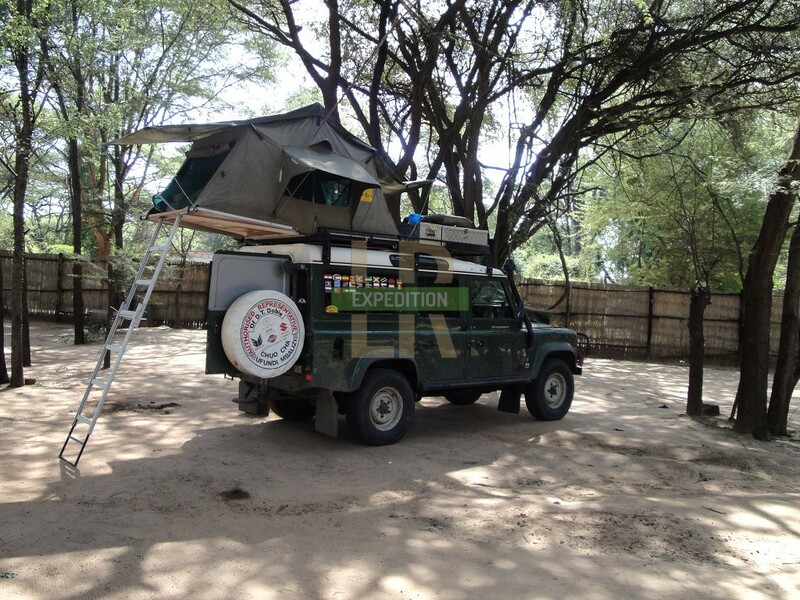 There are some fantastic guides out there about how to take on Southern Africa on your own in a vehicle. This is the key part of the "expedition" style of travel. Personally, I want to see a cool animal crossing my path, to get stuck with only my wits and preparedness to get us out and to find that a route we wanted to take is blocked. Sounds a bit strange? To me, a key component of an expedition is a plan going wrong. Having the expedition mentality will help you transform this from a hindrance to an exciting part of the journey. This to me is more fun than things going to plan. An amazing sunset wouldn't go amiss either! I can't wait! I've put together a couple of playlists of interesting bits of driving a Land Rover in Botswana. Enjoy!